We are currently out of stock on the Battery Operated Hot Melt Glue Gun! Order your Battery Operated Glue Gun today! 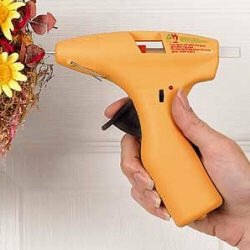 The battery operated Glue Gun is a very versatile product. Buy your Battery Operated Glue Gun today!